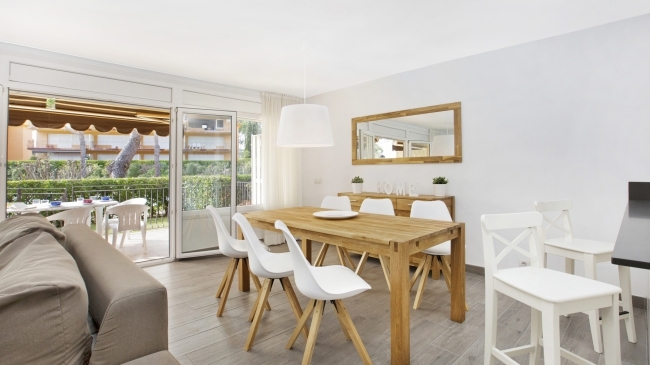 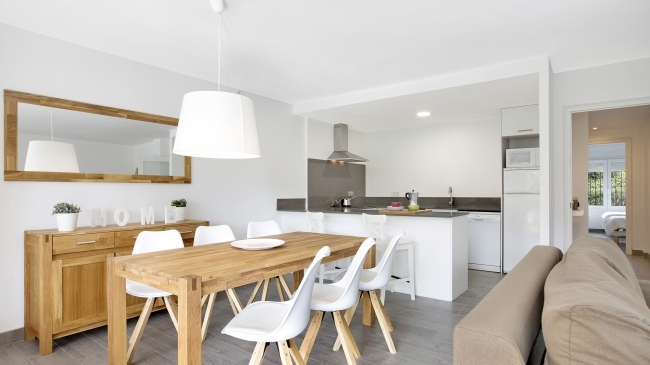 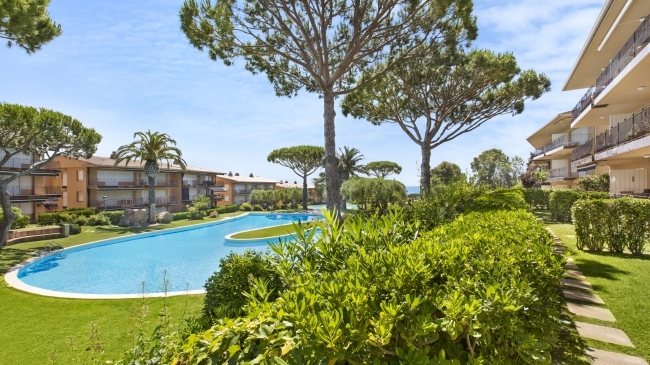 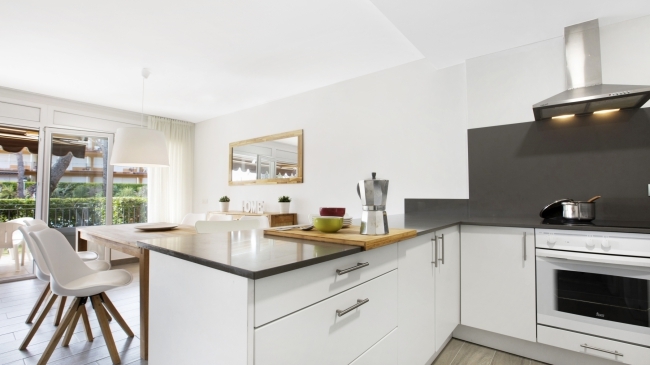 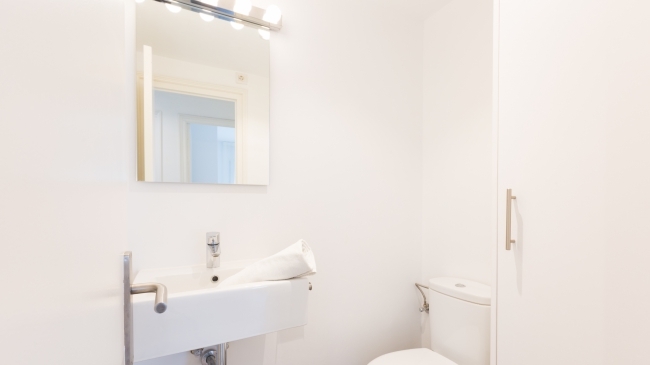 Beautiful apartment totally renovated, iluminated and of modern style, located in a fantastic residential area surrounded by gardens and with community pool. 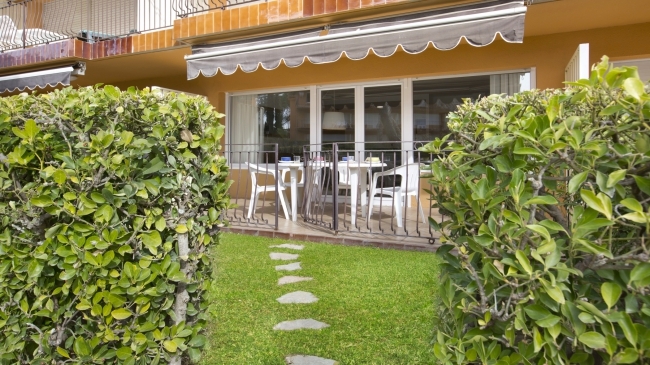 Ground floor with terrace with direct access to the garden and pool. 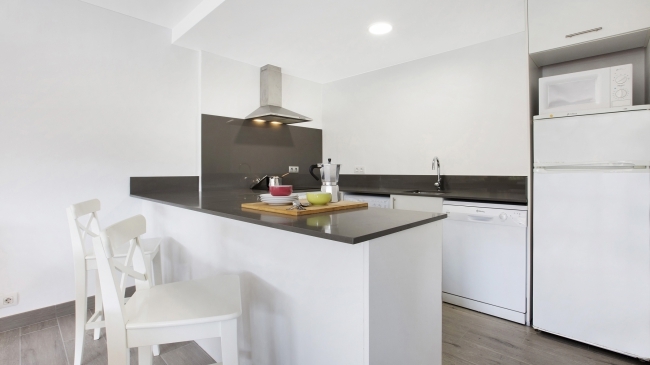 It has 2 double bedrooms (1 double bed (160 x 200 cm) and 2 single beds (80 x 200 cm)), 1 fully equipped kitchen (vitroceramic, oven, microwave, refrigerator, dishwasher and washing machine), 1 full bathroom with shower + 1 toilet, living - dining room (TV) and 1 car garage (included). 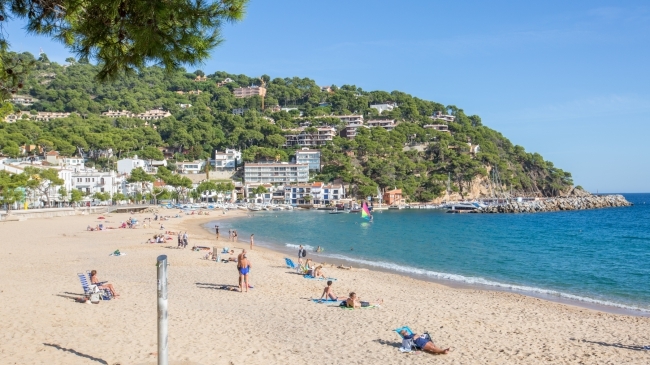 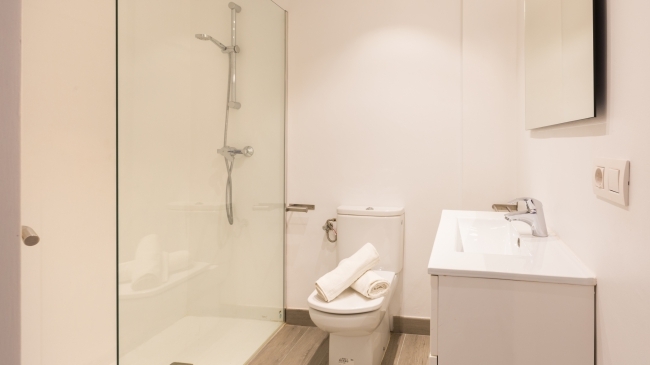 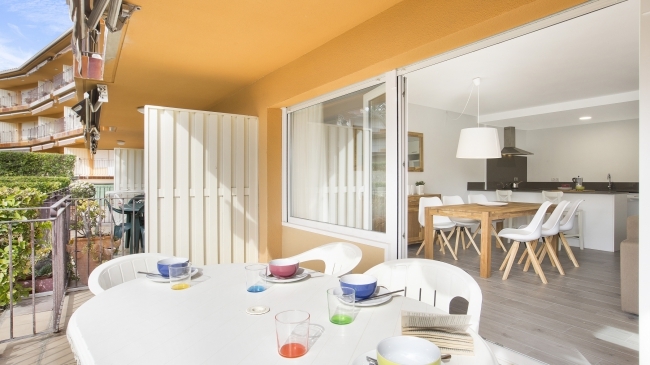 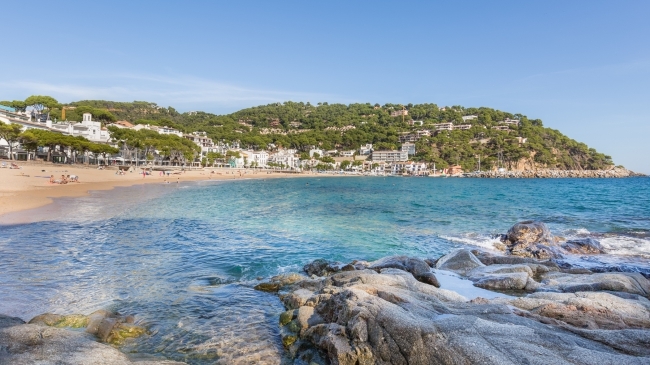 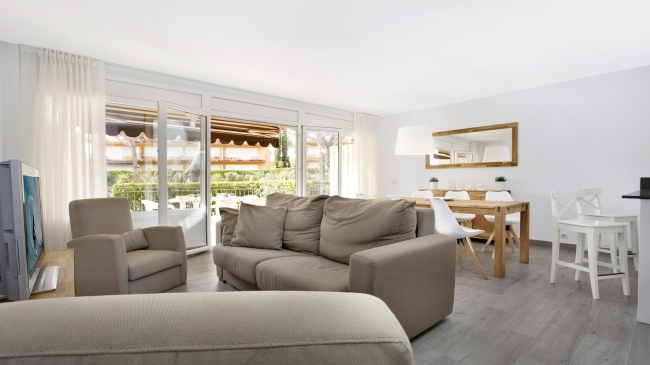 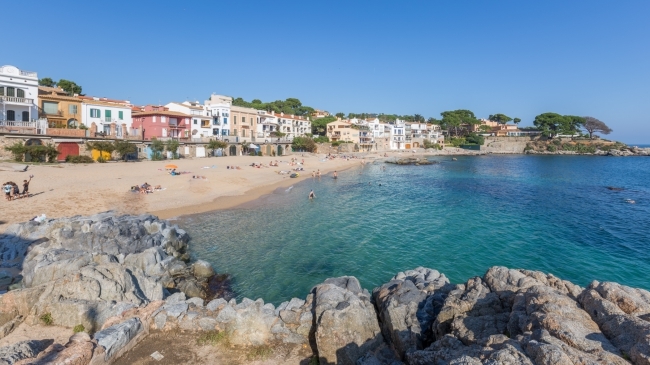 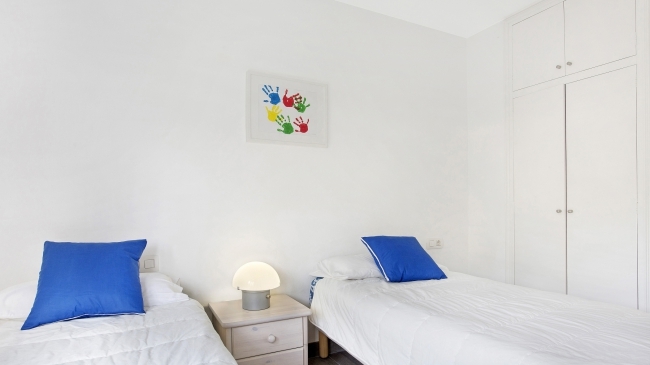 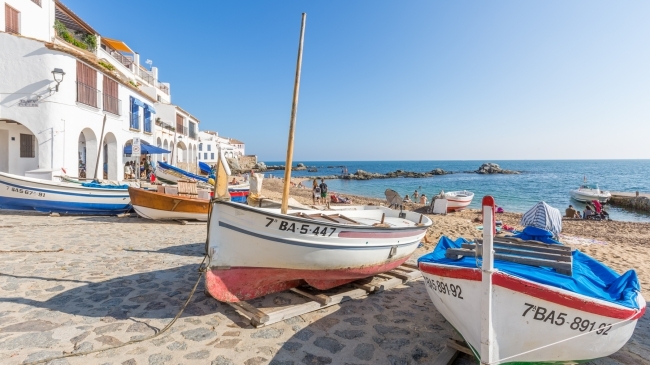 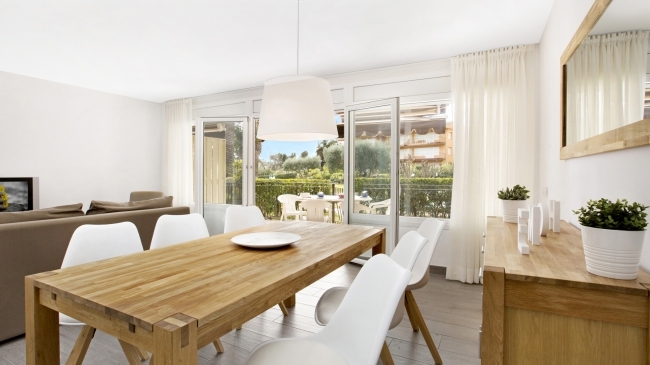 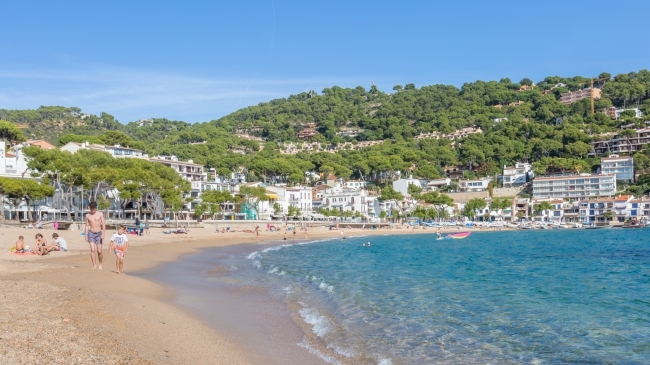 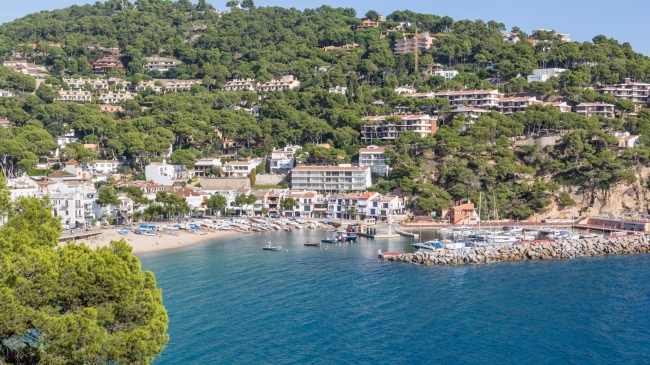 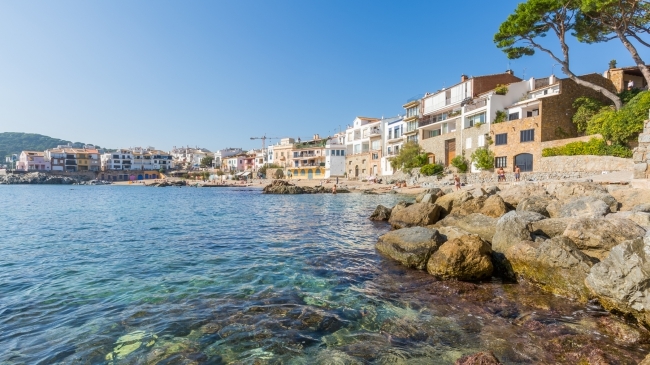 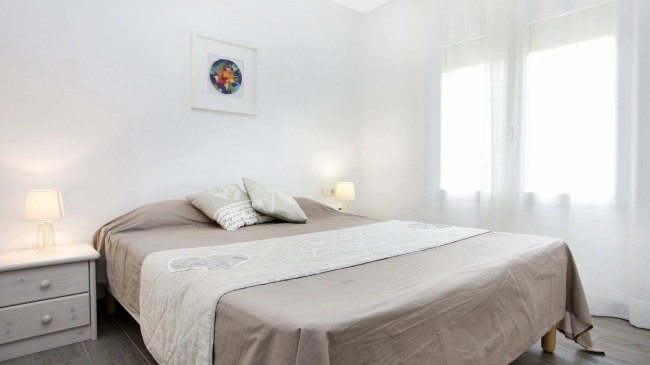 It is located just 500m from the beach and the center of Calella de Palafrugell.